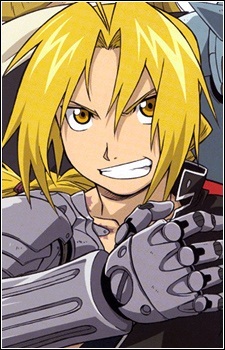 Plot: The Elric brothers run off to a lead they have with a philosopher's stone. Mustang yells after Edward to come back, and Professor Layton happens to over hear about the mystery Ed is about to attempt to solve. Soon enough, they all end up in front of the mysterious pyramid. Although Al doesn't mind the company, Ed is determined he could do this on his own. What's waiting inside, however, are tons of dangers involved. This is a FullMetal Alchemist and Professor Layton roleplay. Two character max each, since the cast will be small. Only the Elric brothers, Professor Layton, Flora, and Luke will be in the pyramid. "Al! We have to get going! I think there's a Philosopher's Stone in the heart of this pyramid," he said, opening up the door, "if there's a stone, we can get your body back!" He dashed out the door, heading outside. He passed the local library and smacked straight into Mustang. "Ed--I mean Fullmetal, where are you going in such a hurry?" Mustang asked with his brow raised. He had a feeling that Ed was up to no good as usual. "I found a lead to a Philosopher's Stone," Edward responded, "it has to do with that pyramid that is acting strangely. Al and I are going to investigate now." "Oh no you don't! It's too dangerous, and I didn't assign you to go there! We need more research before you do anything!" Mustang responded quickly. He didn't need to go head first into something and get himself killed if it wasn't even worth it. "We already dispatched a team to investigate. You're not apart of that team." Professor Layton sat in his flat, sipping tea and reading the paper as he usually did in the morning. Nothing of interest, though that was quite normal. "No, wait a moment..." Layton had turned the page and found an article on a pyramid. He read through it briefly, but there wasn't much. As an archaeologist, it certainly piqued his interest. There was a knock at the door. The professor set aside his paper. "Come in, Luke," he said, as no one else would be visiting at this hour. Al was in his world until he heard Ed mention the pyramid. "Whoa! That sounds cool lets get going then!" As he saw Col Mustang and Ed arguing he thought to himself "Gee I know Ed really wants to go to this pyramid... we'll be going regardless of what Mustang says haha. I hope that too much sand doesn't get in my armor..."
Luke entered as he was told. "Good morning, Professor," Luke said, adjusting his blue cap. He noticed how absorbed Professor Layton was in his reading. "What are you reading about?" "There seems to be a pyramid recently discovered in the deserts of Africa," Layton said. "It's a shame I wasn't invited to the dig site. This is the archaeological discovery of the century." Many believed that all the pyramids had been discovered already. This new one just proved there was more on this planet for archaeologists to find. Flora entered the room after Luke with a bundle of envelopes in hand. "Oh! Good morning, Luke!" she said with a smile. "I baked some brownies yesterday. They might be a little burnt, but they should still be good." She handed the mail to the Professor, then headed for the kitchen. She completely missed the grimace on both their faces. She returned moments later with the brownies. If food could be evil, this would be the most vile villain known to man. What was worse, Flora herself never realized just how bad of a cook she was. "Here, try one, Luke!" She was smiling brightly. The Professor saved him from certain doom--or at least a long hospital stay. "It's a little early for brownies, wouldn't you say?" Flora looked at the clock, then back at her putrid brownies. "I suppose it is a little early, isn't it." She set the plate down, and Layton was careful not to look at them again. Instead, he busied himself with the mail. Mostly bills or letters from friends, but one stood out. It was crumpled and the script on the envelope was difficult to read. He took up his letter-opener and cut open the envelope. Within was a letter, which he read quickly. "My word..." he said, solving the puzzle the letter had held instantly. Luke, trying not to look at the brownies, also swearing one moved, glanced over at the Professor. "What is it?" He asked, his eyes curiously staring at the envelope the Professor held. "It's a letter from the dig site, where the pyramid was found," Layton said, passing Luke the letter. "There's a puzzle in it. It says they need help at the site. Something about there being traps in the pyramid and them all being puzzle related." Luke's eyes went wide with curiousity and excitement as he read the letter. "What are we waiting for, Professor!" Luke exclaimed. "Let's go!" "Okay, so we'll have to look through this pyramid top to bottom. Hopefully with my pocket watch we'll have no problems getting in." 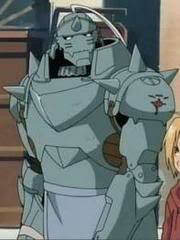 Alphonse being a big suit of armor has no fatigue as he runs ahead of Ed yelling. "Hey brother hurry up we gotta get to the train before it leaves or else we'll have to take the 'short' line!" As they made it to the train Al takes his seat as he thinks "Whew we made it just in time haha... I hope we find something there or else this would be a waist..."
Flora nodded. "I'll go get some snacks." She hurried off to the kitchen and grabbed a picnic basket. She filled it with fruit, some sandwiches--the one thing she could make without poisoning anybody--a few small bottles of lemonade and one of iced tea for the Professor. 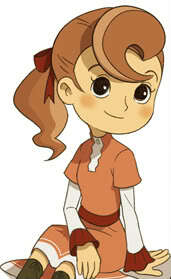 Professor Layton was sorely tempted to leave Flora behind, mostly for her own safety. The last few times she'd come along on an adventure she'd been kidnapped twice, held hostage by a madman seeking revenge, and left behind at a train stop. Though, she had provided some critical clues to the investigation. "Luke, go back home and pack your things," he said. "We'll pick you up once we get everything together here." Now home, Luke tore through his room. He scratched his head, glancing at his empty suitcase. "What exactly do I pack?" Luke thought aloud. 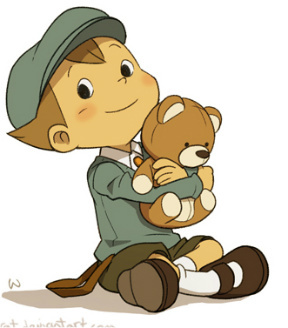 He tossed some clothes and an extra pair of shoes, ten paitently waited for Professor Layton and Flora. "I'm not so short that you can squish me like an ant," Ed said, suddenly having tons of energy, "call me that again and I'll tackle you!" He said, but once he calmed down, gave Al his head back. He sat down on the opposite seat, knowing the train would begin to depart soon. He took out some gum that he had in his pocket, popping it in his house before staring aimlessly out the window. So how long is this train ride expected to take?" Once Flora had everything packed, they took the bus over to Luke's house, helped him get his things in the overhead bins, and then road the bus to the train station. It was too far to drive to the pyramids, so Layton had decided that public transportation would be best. "I'll get the tickets," Layton said, heading to the ticket windows. He returned with the three tickets and handed them out. Flora took her ticket and glanced around for their train. "There!" she said, pointing at their platform. She was holding on to Luke's arm, just to be sure she wasn't kidnapped or left behind like the last time they had taken a train. Luke, losing feeling in his arm as Flora was squeezing it tightly, and of course did not have the heart to tell her, glanced at the professor. "So, where are these pyramids?" "In quite a strange place, actually," the Professor said, looking over his letter again. There wasn't much to it. Just a puzzle that said HELP if read correctly. "The newspapers say they're in Southern Europe, in Turkey. It's quite odd for one to be there rather than Egypt with the rest of them." Luke blinked curiously, tuning his head to one side. "But why would it be in Europe? And not in Egypt?" "That's exactly what makes it mysterious," Layton replied. "From what I've read, it was created by alchemists in an attempt to create the philosopher's stone hundreds of years ago. There are alchemy symbols everywhere." "The philosopher's stone?" Flora repeated. "I read about that once! 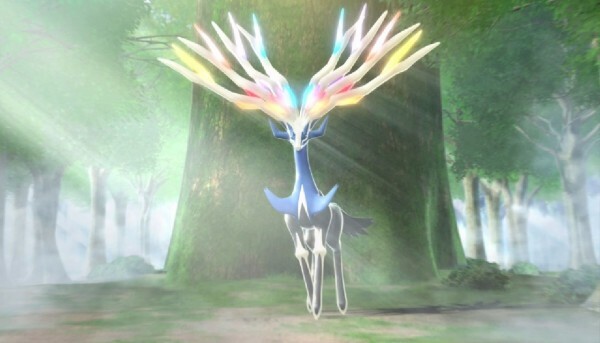 It's supposed to turn led into gold and give people immortality. No wonder they'd build a pyramid for it." "It shouldn't be too long," he responded, "it's in Europe. It makes total sense. A philosopher's stone would be in a strange place such as that. Anyway, the main point is to make sure we get the stone. This has to be it, it's a good lead. We just have to make sure we're careful. Who knows what kind of traps are laid out in there..."
"Hmm alright brother I've read about those pyramids they have been said to have dangers in them..." "I hope there are no ghosts....."
Luke turned his head curiously, looking up at Flora and the Professor. "But why call it that? Tunring lead into gold and giving immortality has nothing to do with philosophy...does it? "Only a great philosopher could achieve it," Professor Layton replied. "There was also a lot of philosophy surrounding it, such as it was a liquid but it would melt its container, so how was one supposed to keep it around?" He smiled. "Alchemy was also a philosophy. There's quite a bit to the origin story. Of course, no one ever succeeded in creating one. That would just be silly." The train rattled on, and Layton leaned his head back and closed his eyes. "It'll be some time before we reach there." A few hours have passed. Al began to get a little bored with the long silence of his brother. "Brother I'm bored how long is this trip going to take? Do you want to play some games? That sounds like a ton of fun! 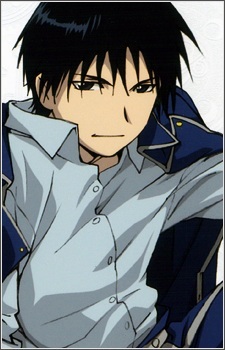 If not I'm going to see if anyone needs anything fixed with alchemy."